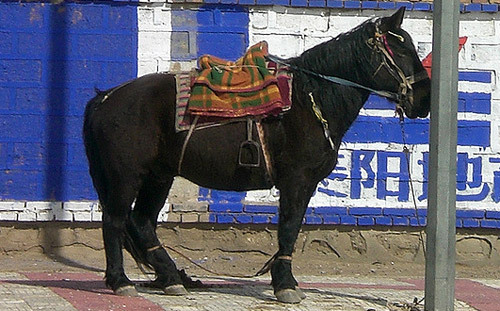 Chaidamu Ponies are from the Qinghai Province of China. Their numbers are very low and there is very little information available about them. They are moderately-sized ponies (average height 12.6 – 12.8 hands). Their Head is wide and short. Their bodies are stong and round with short legs. They come in black, chestnut, and grey. They are known to be easy going, sociable, and kind. They are used for riding, sports, and as draught horses.